Wait, Google is Selling Cardboard? Following the footsteps of revolutionary tech company Oculus VR and the like, Google recently released a product similar to the highly publicized virtual reality headset–Oculus Rift. Except, Google threw in a unique twist. As expected. 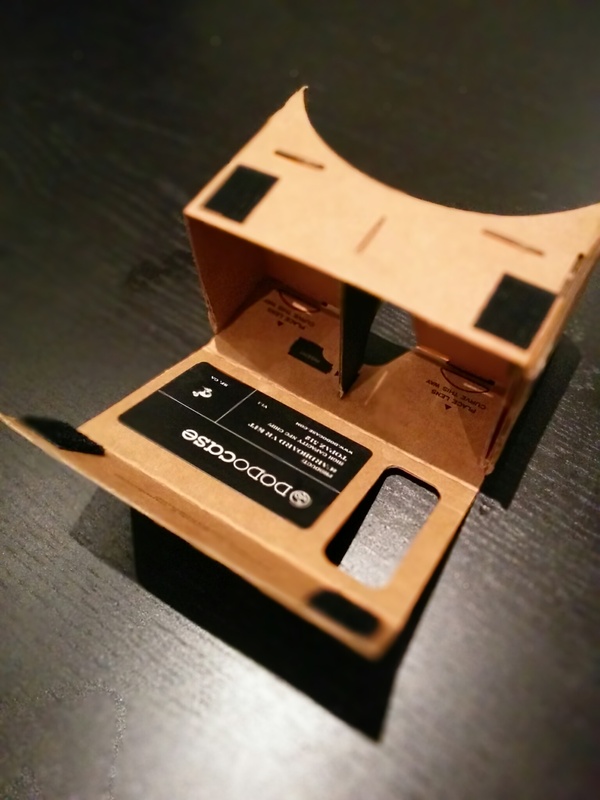 As the name suggests, Google Cardboard comprises purely of some magnets, lenses, some absurdly sticky stickers, an NFC tag, and a whole lotta cardboard. 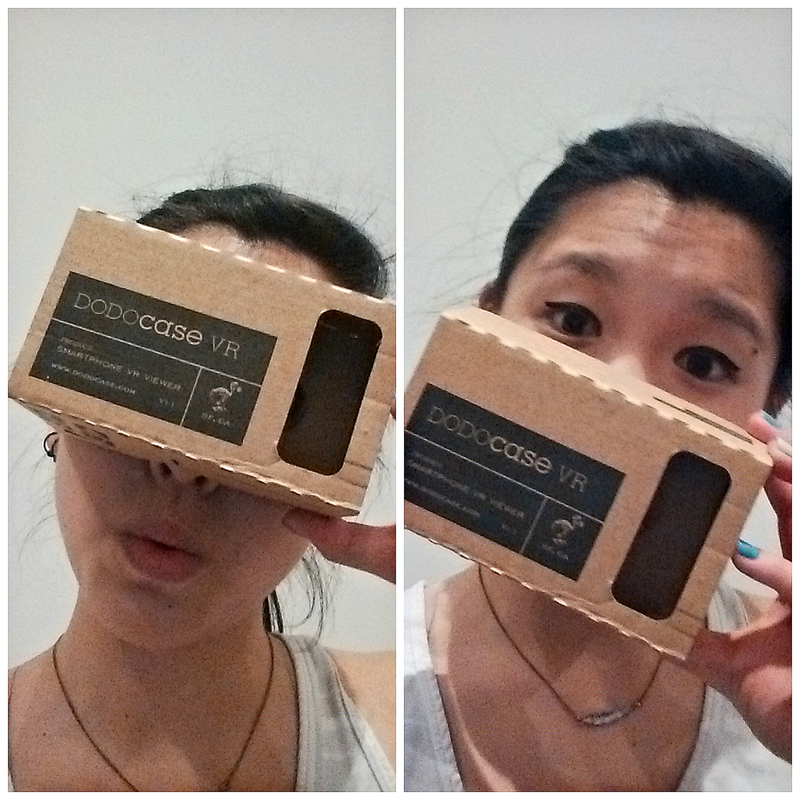 Yup, just regular ol’ cardboard that offers something very cool: your very own virtual reality experience. While an Oculus Rift or related headset costs anywhere from $200-$1000, a Google Cardboard headset may be purchased for as little as $6.79 (at the time of this post). In fact, Google offers directions on how to assemble your own cardboard VR headset using nothing but a large pizza box. After you build your Google Cardboard unit (DIY-life, baby! ), all you need to do is download the Cardboard app from the Google Play store before letting your augmented journey begin! When you familiarize yourself with Cardboard and learn the basics, you can then explore other Virtual Reality (VR) apps that 3rd parties have made. Some of my personal favorites are Halls of Fear, Tuscany Dive, and SwivelGun. TIP: Search “VR” in Google Play to find an amalgam of fun, virtual reality apps that are available for download. • Quick & fun assembly: Putting together the unit was quick, easy, and actually fun! It reminded me of science camp back when I was a wee 5th grader. I received a short little how-to guide with pictures and very little text in my package, which was ever so helpful. This may be particular to DODOcase, so your mileage may vary. But it does seem logical that every toolkit should come with a guide, no matter which vendor it is from. • Foggy lenses: The design is not the greatest. After some time of altered reality play, I noticed that the lenses started fogging up really easily. It was distracting that I had to keep wiping down the lenses while trying to immerse myself in the fake world around me. 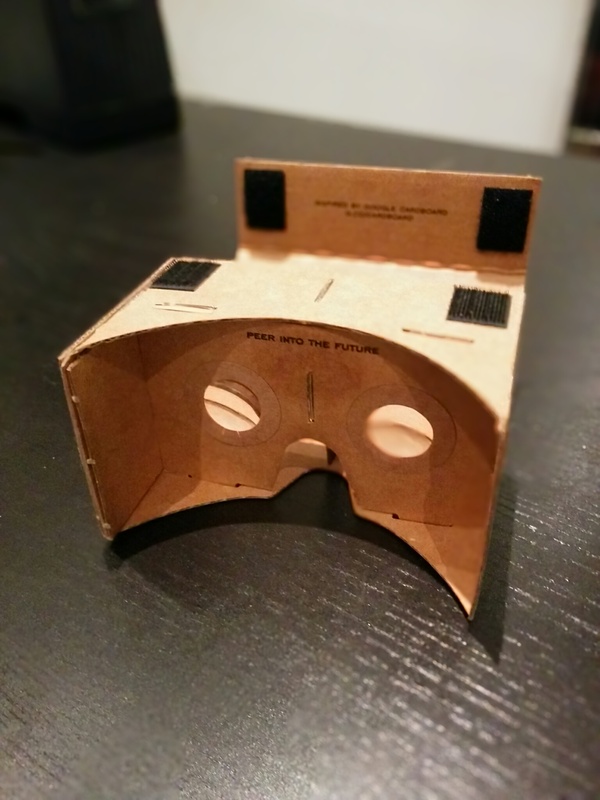 • (Occasional) blurry vision: It seems that since Google Cardboard is meant to accommodate a variety of Android Phones, there may be a little wiggle room depending on the type of phone you have. In my case I have a Nexus 5, and it did not fit as snuggly as I would have liked. As a result, the images projected through the unit’s lenses were sometimes blurry and I had to consequently re-adjust the orientation of my phone. • Awesome use of accelerometer: I was very skeptical as to how accurate and real things would feel through a–bluntly put–simple cardboard box. However, I was blown away by how real the virtual reality felt. It felt like real life! Your mileage may vary depending on the virtual reality app of course, as they are made by various developers. For a small fee, you can purchase a whimsical little product that packs in hours of fun! In my opinion, Google Cardboard is a great buy if you’re a tech geek and aren’t sure if you want to fork over a bucket load of money for the Oculus Rift yet. Hurry, the future is now. And now. And now. And also now. Click here to buy and make your own! Calling all tech geeks - your source for experiencing dirt cheap virtual reality is here! If you own your own Google Cardboard, submit your review or rating below!